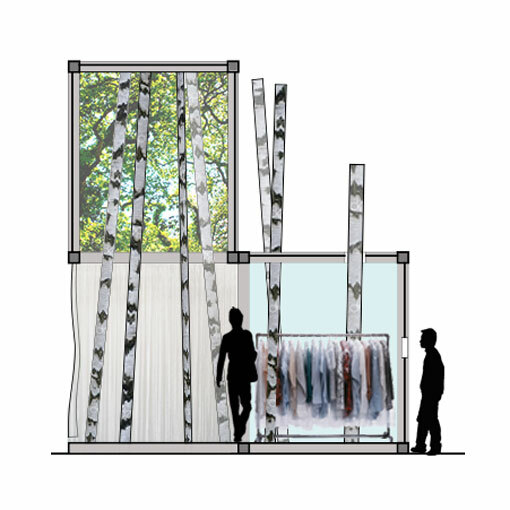 For the BOFFO Building Fashion competition, JZA+D designed a conceptual pop-up boutique for menswear designer Michael Bastian. 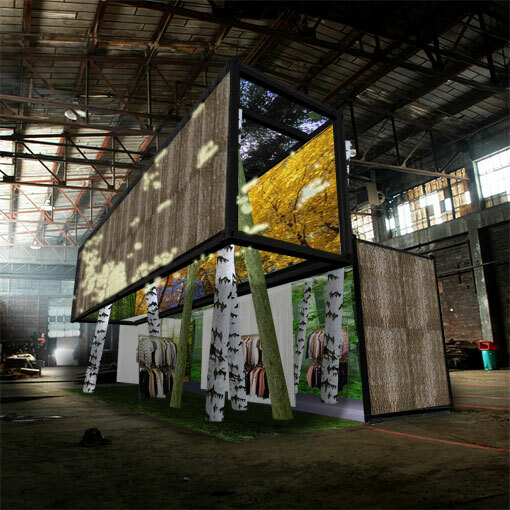 Made from two shipping containers, the design epitomizes the idea of “industrial wilderness,” a theme gleaned from the juxtaposition of Bastian’s rust-belt background with the industrial nature of the proposed site: Pier 57 along the Hudson River. 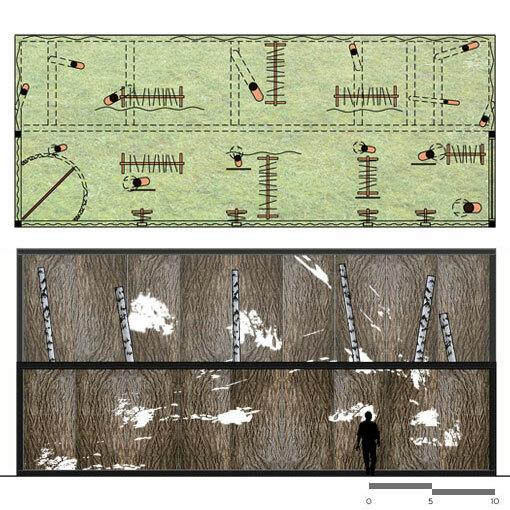 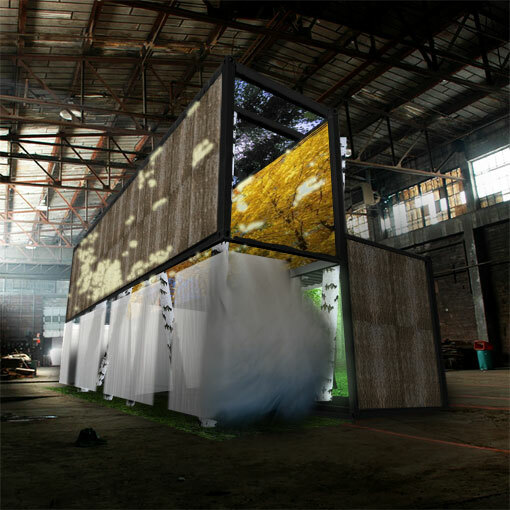 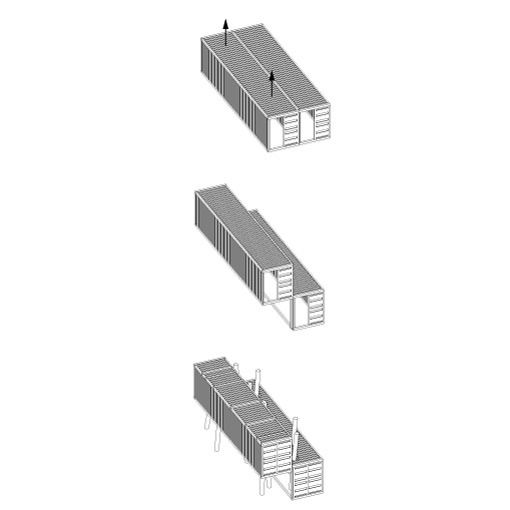 The goal was to transform the starkness of the shipping containers into an amenable environment for Bastian’s target demographic of men who may live and work in urban centers, but wish to stay in touch with their more rural roots. 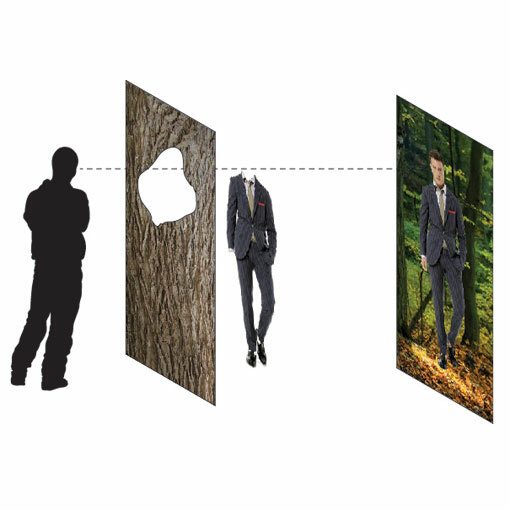 Passersby who peer through the circular openings in the container will gaze into mirrors where displays will allow for people to see themselves in Michael Bastian clothing. 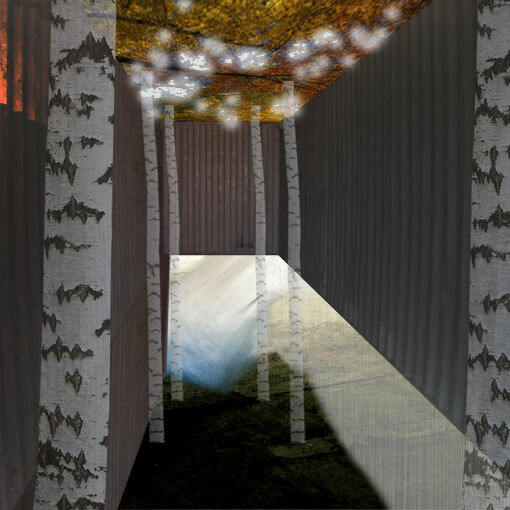 JZA+D elevated one of the containers, creating a loft to invite more light and space, and designed a forest-like setting using poplar cladding and other naturalistic finishes. 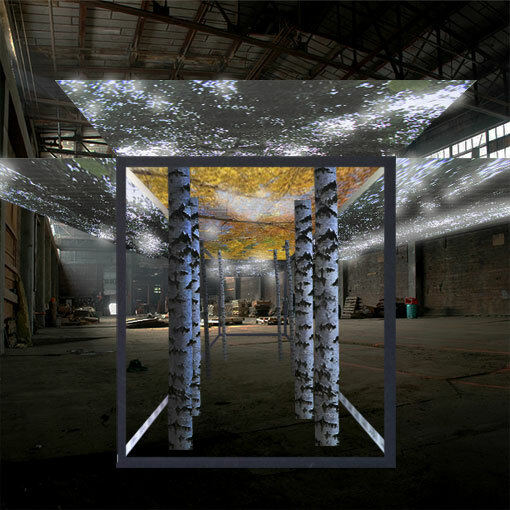 The resulting boutique is a moment of respite within the bustling industrial location, welcoming visitors to relax and meander through the “trees” to try on the clothing.